Public utility leaders from across Washington elected Jefferson County Public Utility District Commissioner Barney Burke to serve as vice-president of Energy Northwest's Board of Directors for a two-year term. The public power agency's 27-member board of directors represents the 22 public utility districts and five municipal utilities that make up Energy Northwest. The board of directors has sole authority to authorize and terminate projects. Burke was elected at a meeting Jan. 28. Burke has served on the board of commissioners of Jefferson PUD since 2009. 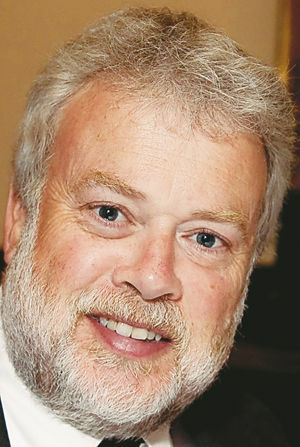 Jefferson PUD negotiated the purchase of Puget Sound Energy's Jefferson County electric facilities in 2010 and began operating that system in 2013. He was appointed to the Energy Northwest Board of Directors in 2012. Prior to moving to Port Townsend in 2000, Burke had a 20-year career in planning and economic development in the San Francisco Bay Area. He managed the redevelopment agency of the City of Mountain View, California, and co-chaired the Economic Development Roundtable for Joint Venture: Silicon Valley. "Energy Northwest is a leader in generating clean, affordable power for our region's ratepayers," said Burke in a press release. "It's an honor to serve with people who are so innovative in addressing the Northwest's long-term power needs." "I want to thank Barney for taking on this leadership role on the board of directors. I congratulate him and the new and re-elected officers representing the board of directors and the members of Energy Northwest," said Mark Reddemann, Energy Northwest CEO. Burke's role and term are effective immediately. Energy Northwest develops, owns and operates a diverse mix of electricity generating resources, including hydro, solar and wind projects -- and the Northwest's only nuclear power plant. These projects provide enough reliable, affordable and environmentally responsible energy to power more than a million homes each year, and that carbon-free electricity is provided at the cost of generation. As a Washington state joint operating agency, Energy Northwest comprises 27 public power member utilities from across the state serving more than 1.5 million ratepayers.